Welcome to “Raising ‘Cade”, a retrospective feature about the original gaming arena: the arcade. Every week, we’re setting out around the darkest corners of America in search of a different game to play. The goal? Chronicle every arcade game in existence. 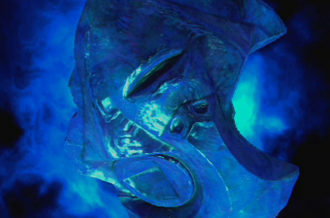 In part 2 of our 15,435 part series, we’re appeasing both the Mighty Thor and Yetis with Arctic Thunder. In arcades, you gotta make the powder first. Then when you get the powder, you get the money. Then when you get the money, then you get the women. 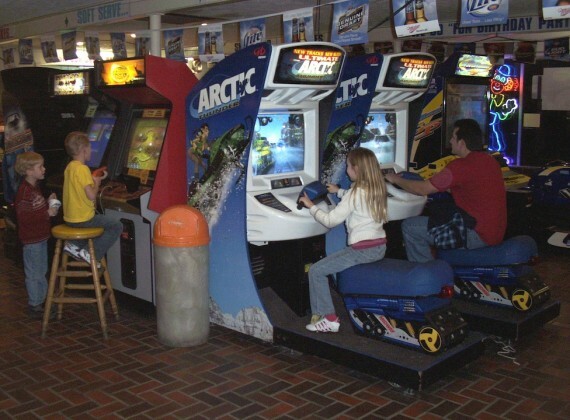 The third, and so far final, original entry into Midway’s “Thunder” series, Arctic Thunder burst onto the arcade scene in 2001. While all three came towards the end of Midway’s arcade reign, they proved to be quite successful, with Arctic and Hydro Thunder even spawning console adaptions. When selecting the game to cover in this week’s installment of Raising ‘Cade, Arctic Thunder proved hard to ignore — literally. Practically every arcade we ventured into still had operating cabs, leading us to wonder if the game was fun enough to remain a solid money maker, or if it was simply so expensive that operators were stuck paying it off. Nothing like some father-daughter bonding over Arctic Thunder. Though, if your son isn’t tall enough to play Deer Hunting U.S.A., that’s probably a sign he shouldn’t be playing it. Arctic Thunder is housed in a very unique cab. One of the first arcade snowmobile games, it featured handlebars and a bench seat. Controlling more like a motorcycle game, it was no doubt jarring to first play, yet likely one of the least intimidating racers due to its simplicity. While practically any arcade racing game seems easy-to-play for gamers (after all, the term “arcade racing” is used to describe games that don’t have complex mechanics), we’ve all seen mid-age parents and kids swinging steering wheels back and forth like madmen. Why some people who have been driving real cars for 20+ years feel like the only way to control cars in racing games is to violently turn the wheel is beyond me. 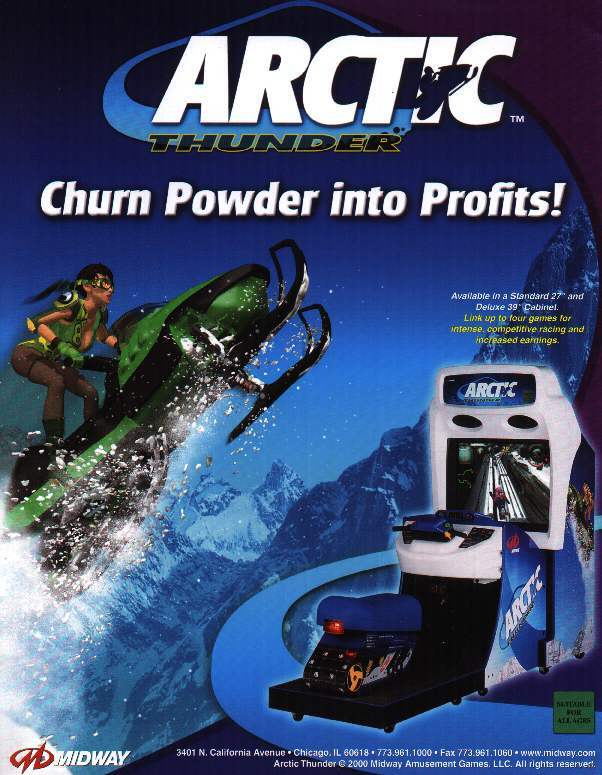 “Arctic Thunder — It’ll blow you away.” Now give me a job writing ’90s movie captions. While the bench and steering column are fun, the real attraction was the more novel features the game boasted. 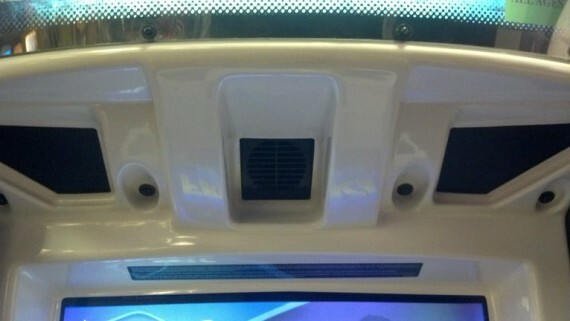 The cab has two fans mounted inside the machine below the marquee that blow cold air on on players as they rush down the slopes. Even more amazing, the intensity of the air increased based on the speed of the snowmobile. I’m not ashamed (well, okay I am) to say that I used it as a cool-down after intense sessions of DDR. Even eleven years later, the game still has a unique sense of realism and intensity that even the most graphically advanced games can’t replicate. To fully immerse players, the seats featured shakers that would vibrate based on the speed and intensity of the course; and boy do they shake. It’s not a simple rumble mechanism like in game controllers, but more like sitting on a jackhammer. I imagine it’s knocked some small children off and, well, given some adults a similar experience to Larry David’s broken seat. The most incredible thing about Arctic Thunder eleven years later is how well the cab has held up. 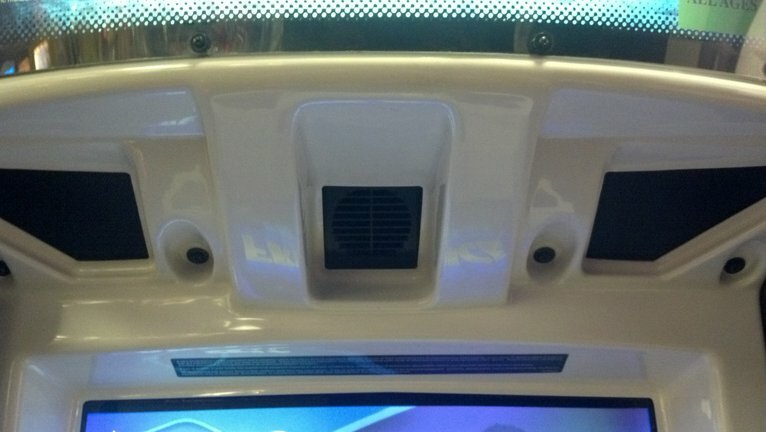 Not once playing since its release, including for this feature, have I encountered a machine where the fans and seat shakers didn’t work; astonishing considering there are some questionable places that house these cabs. This particular one was at a children’s pizza parlor (filled with blood-curdling shrills) called Peter Piper Pizza, as it has been since it was released. Kids as young as three are running around, jumping on the seat, hitting it and touching everything with gross greasy pizza hands (I would have worn gloves to play it, but an adult wearing plastic gloves playing an arcade game alone in a children’s environment without buying any food seemed like a poor idea). How fans built into an arcade cabinet operating multiple times per day blowing cold air in short spurts could still function is beyond me. I’ve had industrial fans and air conditioners last shorter than that. Screens like these are responsible for losing much of my childhood allowance. 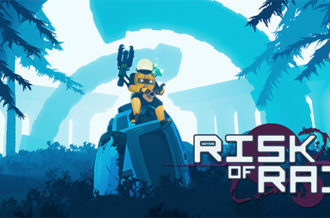 The gameplay itself is very simplistic; after choosing a ride and rider (easter egg: pressing the attack button during the selection screen lets you mix and match riders), players proceed to blast down various courses. The snowmobiles go at blistering paces and picks up speed quickly even after wiping out. There are plenty of jumps and turns, though they are pretty easy to nail in all but the hardest tracks. 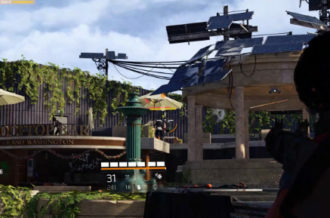 To add some spice, icons are scattered around the tracks including boosts, missles and atomic snowballs. Defensive bonuses, like shields, can also be acquired. 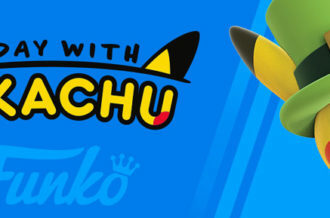 All of the power-ups are handled with the attack button, which also lets your rider jump out and kick riders if they get close enough. 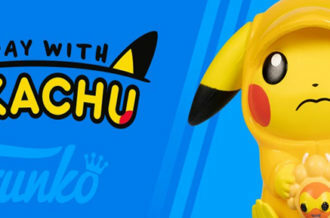 While a product of its time, it remains fun in short spurts, but would likely prove too dated outside of the arcade environment. Worse yet, the early-PS2 graphics are really showing their age. 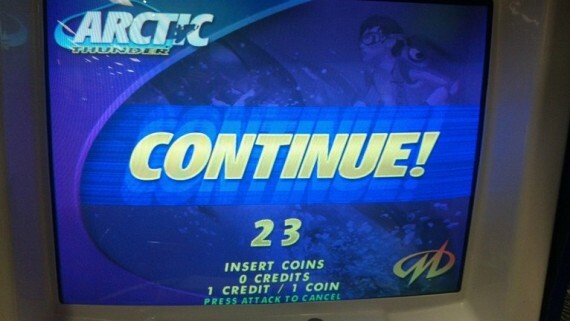 Still, it makes for a fun time in an arcade that remains the pinnacle of 3D quarter-eating racers. Cementing its appeal, Raw Thrills is set to rollout a spiritual successor dubbed “SnoCross” later this year. 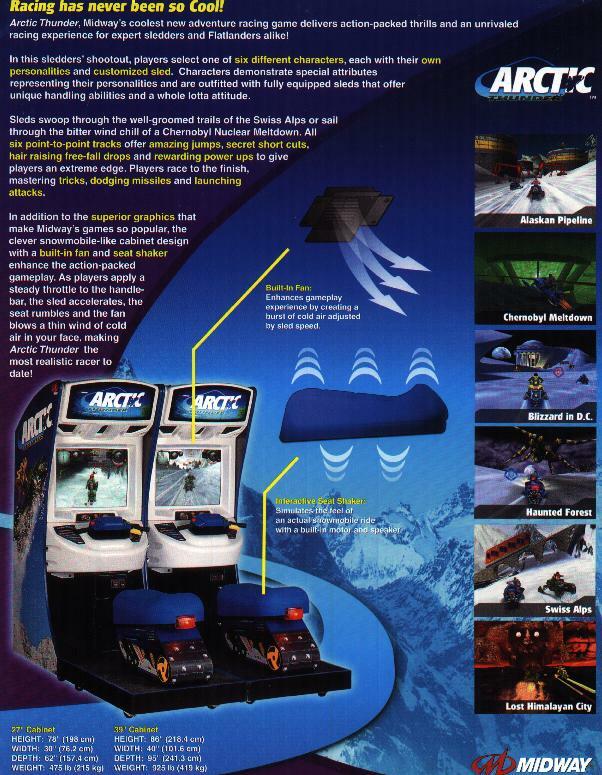 Seeing the reaction of someone young enough to have only experienced current-gen games play Arctic Thunder would have been priceless, but standing around studying children’s faces seemed like a bad idea — especially if I had the gloves.